The Presentation of the Child Jesus in the Temple is celebrated, in a ceremony both vivid and profound, at Our Lady of the Eagle Shrine each year. 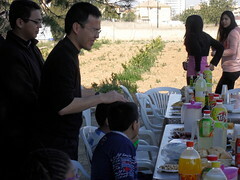 This past February 19th, third Sunday of the month, we had our usual get-together in Barcelona. It was the first to be held in 2012. 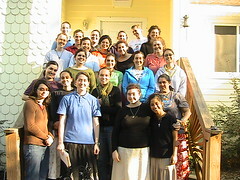 At 7 am, the community of Servant Sisters in Torrent (Valencia) got in the van and headed off for Barcelona. We were accompanied by two girls who live in the Student Residence of the Home of the Mother, located near our house: Mariam Samino and Sonia Benito. They came along to help out with the children’s activities. 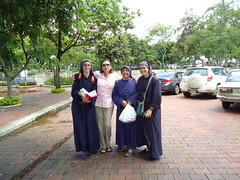 The Servant Sisters of the Home of the Mother, responding to the invitation of Archbishop Antonio Arregui Yarza, founded their third house in Ecuador, this time in the city of Guayaquil on November 7, 2011. 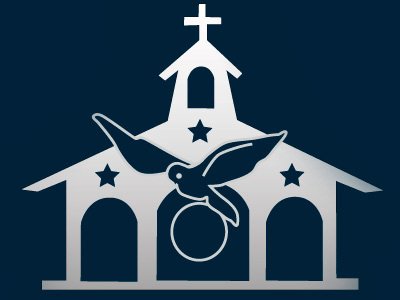 Their ministry consists in working with the school "La Consolata", which has 1,400 students, located in Fortín, a very poor area of Guayaquil, overseeing the spiritual and religious formation of the students. On Saturday, February 11th, the Feast of Our Lady of Lourdes, a group of girls from the Home of the Mother and a couple of friends went to visit the Cenacolo Community of women in the city of St. Augustine. The “Comunitá Cenacolo” is a movement in the Church that Sister Elvira Petrozzi founded in Italy in July of 1983 to help young people addicted to drugs or who were simply disillusioned by the false promises of happiness that the world presents. 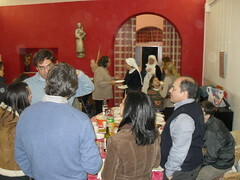 On Saturday, February 18th, a group of H.M. girls hosted a “BBQ with Benedict”. People began to arrive before dinner and we started out by playing some very lively games in the backyard as the hamburgers were being grilled. Then, as it was getting dark, we lit some tiki torches as we ate dinner, enjoyed good conversation, and continued with some crazy games! Saturday, February 25, i.e. the fourth Saturday of the month…That means: retreat in Torrente (Valencia)! And that’s exactly what took place. 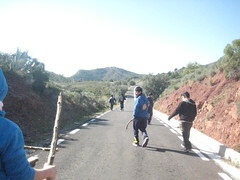 Last Saturday, February 4th, the Servant Brothers of the Home of the Mother in Valencia organized a hike through Sierra Calderona National Park with some boys from the HMY Hiking Club and from the local parish. 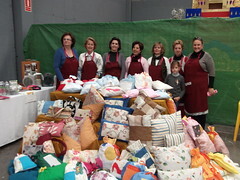 In Seville, Spain – Acalá de Guadaíra to be exact – the Home of the Mother has been the host of a grand event ever since 2008.